An RJ Martin design, the Kershaw Chill 3410 is one smooth knife. The 410 steel frame of the handle has an overlay of G10 scales that are CNC-machined with light texturing. 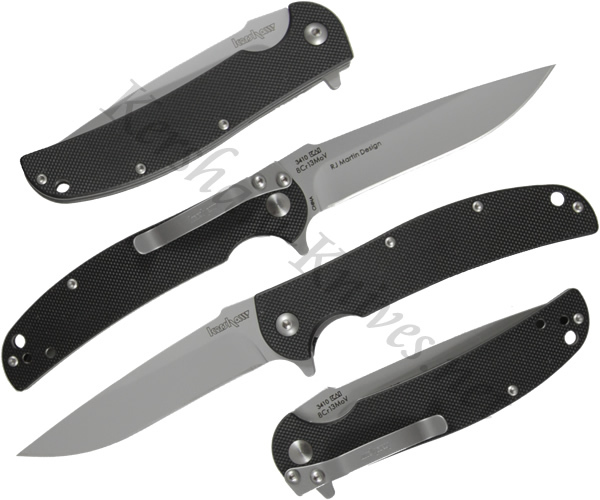 The drop point blade is 8Cr13MoV steel and is deployed with a flipper for one handed opening. The adjustable pocket clip allows the user to carry tip up or tip down. The sleek profile of the Kershaw Chill 3410 knife makes it a great choice for everyday carrying.